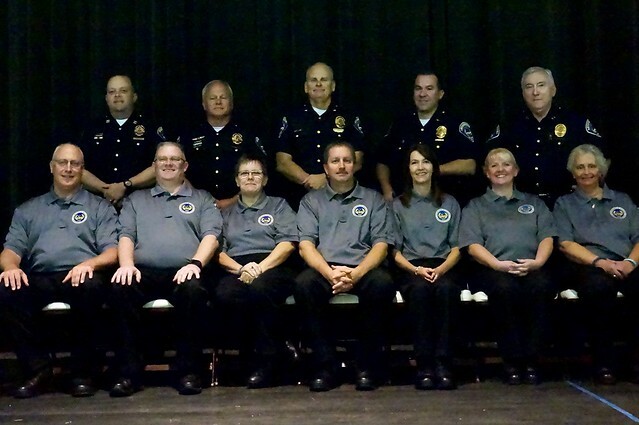 The Speedway Police Department recently graduated its 8th Citizens Academy class. Chief Campbell thanked all of the graduates for their enthusiasm, welcoming them to future volunteer service to the community and the department. 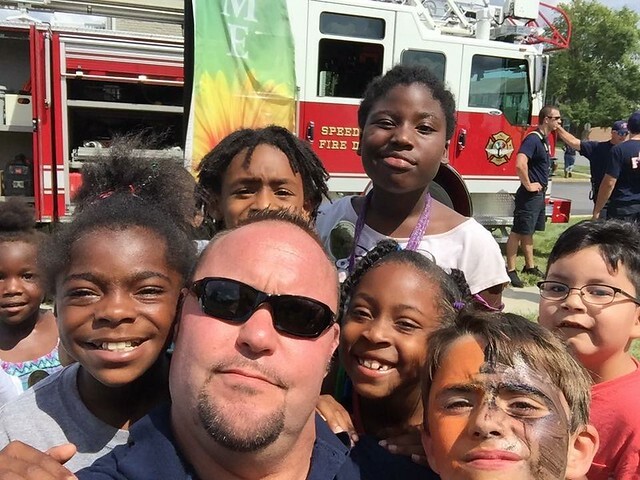 As in previous classes, the students spent 11 weeks learning all about the Speedway Police Department in a wide variety of classes, ranging from the history of policing and the Speedway Police Department, to K-9, crime scene investigations, chaplains, prosecutor and more. 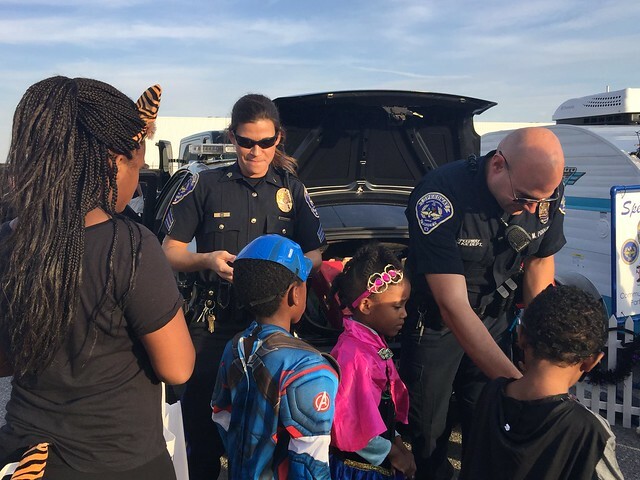 The students also had a variety of hands on experiences, including fingerprint dusting, firearms, and even driving a police car! Photos and video from their classes will be posted over the coming weeks, so stay tuned. Click below for more graduation photos! 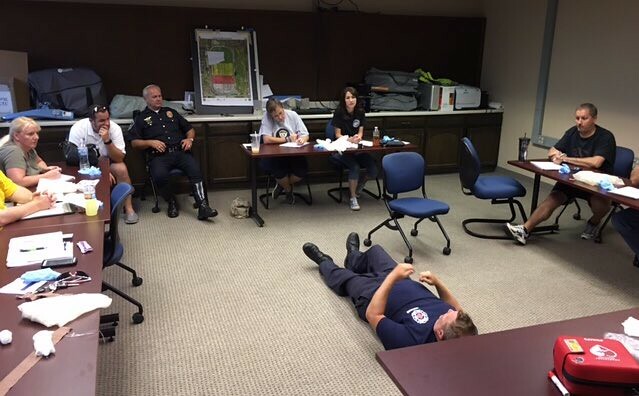 8th SPD Citizens Academy Begins; A Few Spots Still Open! 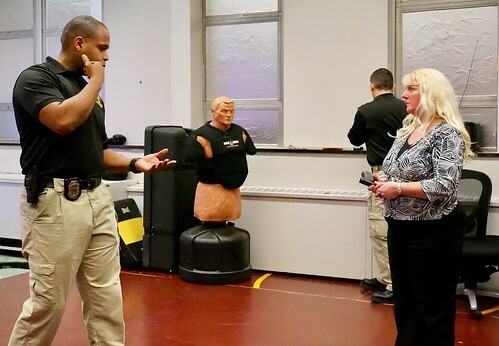 Update: The SPD Citizens Academy started yesterday; however, SPD will still accepting a few more applications for the 8th Class. All interested parties must submit applications in person or online by next Tuesday, September 5th at NOON. See link below. 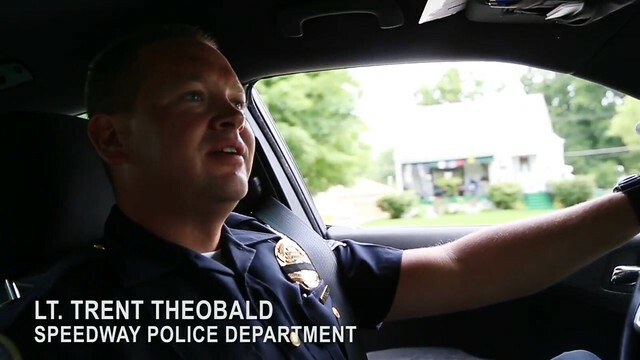 Speedway, IN—On Wednesday, August 30, the Speedway Police Department commenced its 8th Citizens Academy Class. Administrative Coordinator Sarah Edie welcomed the class and explained about some of the exciting things they will be experiencing in the coming weeks – the chance to drive a police car, go on a ride along, take a high speed ride on the emergency vehicle operator’s course, learn about the various units – K-9, narcotics, SWAT, and much more! 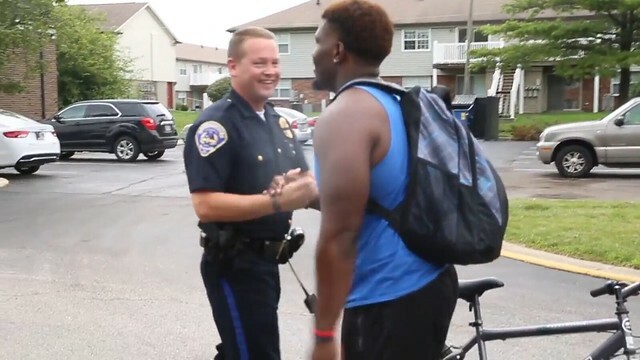 James Campbell, who also welcomed the class and explained his philosophy on community policing and that it was never the intent that public safety was only the responsibility of the police, but rather a partnership between the community and the police in order to solve community problems. 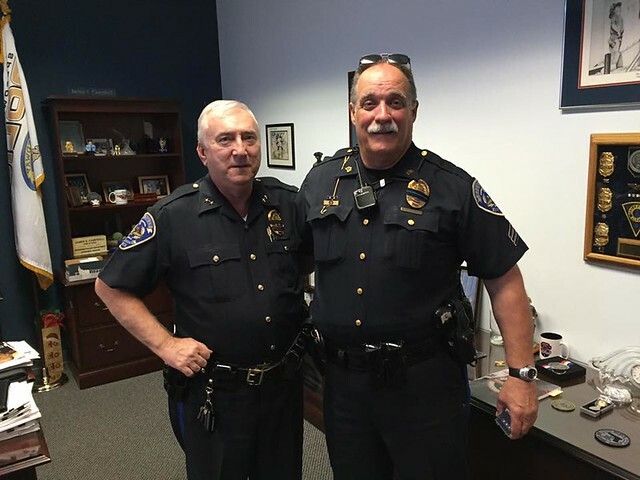 He offered a brief history of policing, which highlighted the evolution of public safety from ancient to medieval times, through the beginning of modern policing in London, which influenced policing in America to today. 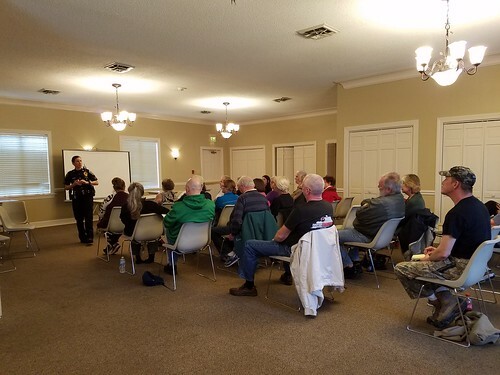 Speedway Police Commissioner Phill Smith and Assistant Chief Charles Upchurch then taught the class about the history of the Speedway Police Department including some interesting facts about the various town Marshals, as well as milestones such as first radios and even police cars in town! If you are interested in this exciting opportunity, you can still join the class starting next Wednesday, September 6th! Submit your application today at this link right away! 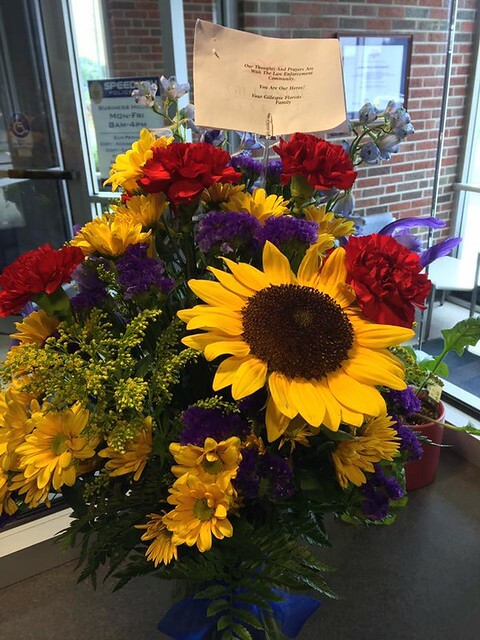 Any further questions, please contact Ms. Sarah Edie at sedie@speedwayin.gov or by phone at 317-246-4300. 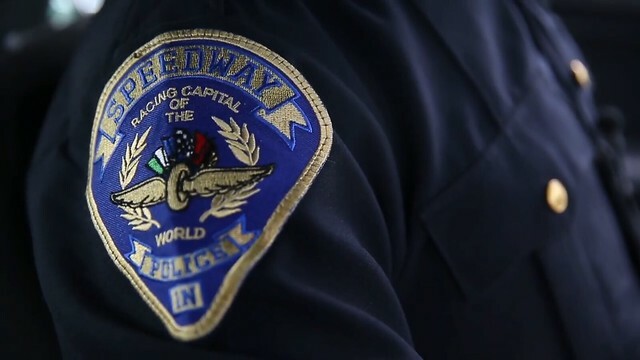 Speedway, IN—The Speedway Police Department is currently accepting applications for its 8th Citizens Academy Class. Classes will be every Wednesday evening, from 6pm-9pm, beginning August 30th, 2017 and running for 12 weeks. 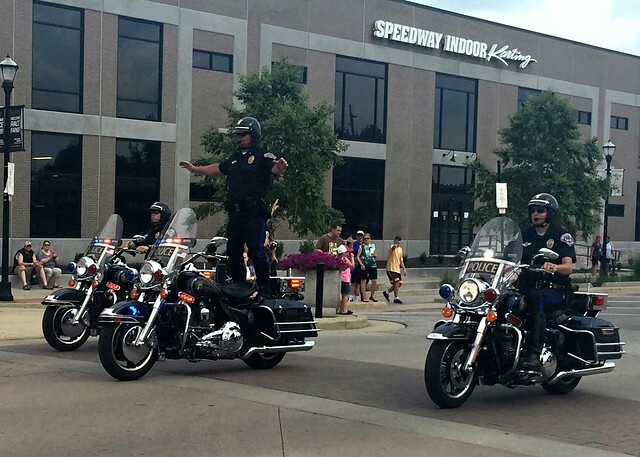 ICYMI: We’d like to present a recap of some of the community policing initiatives from the Speedway Police Department during 2016 in the final installment of this 4-part series. 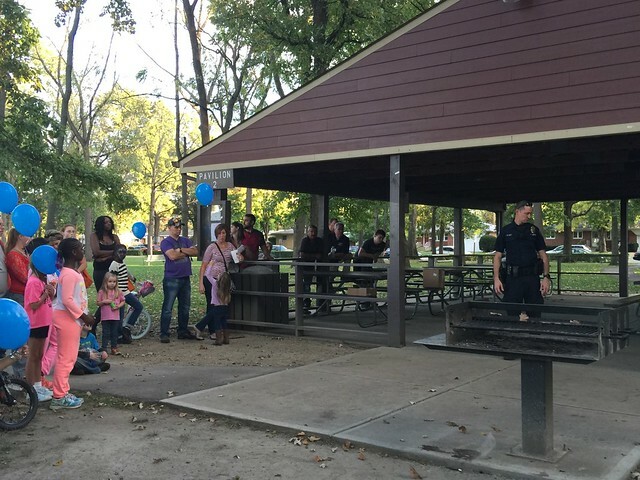 The Speedway Police Department’s National Night Out was held on Tuesday October 11, 2016. We were again blessed with great weather, resulting in a nice turnout from the Speedway community. 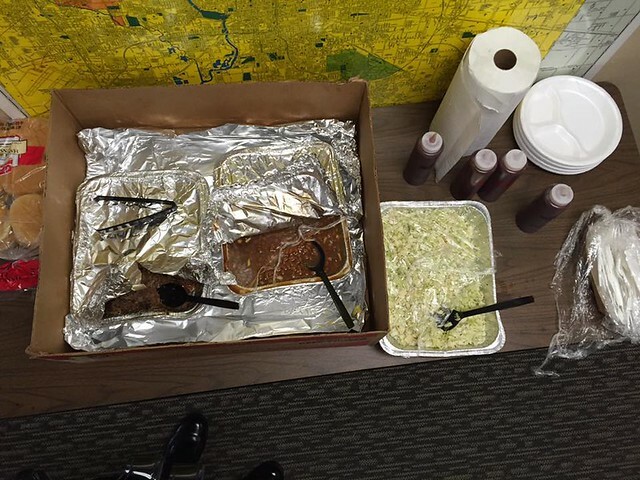 We were glad to see you all! 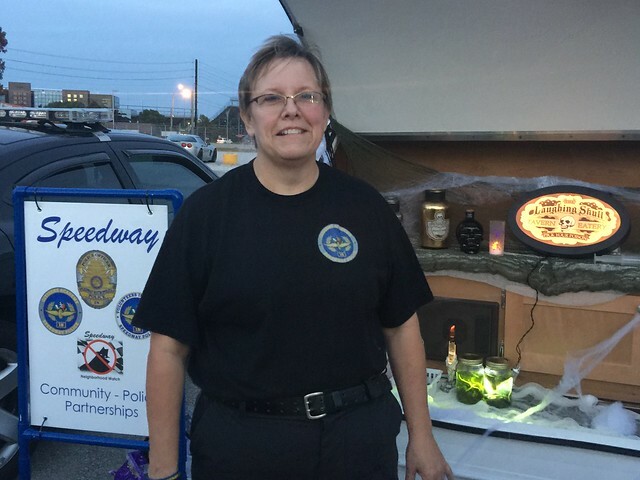 We hope there was something for everyone to enjoy – music, food, games, great door prizes, helpful information from our vendors and public safety partners, and most importantly, a chance to talk to and get to know your first responders from the Speedway Police and Fire Departments. 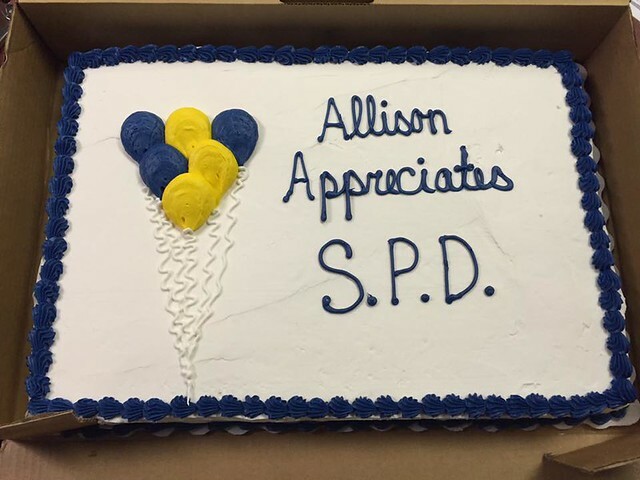 Thanks to all who signed the “Thank You First Responders” card, which was given to SPD and SFD. 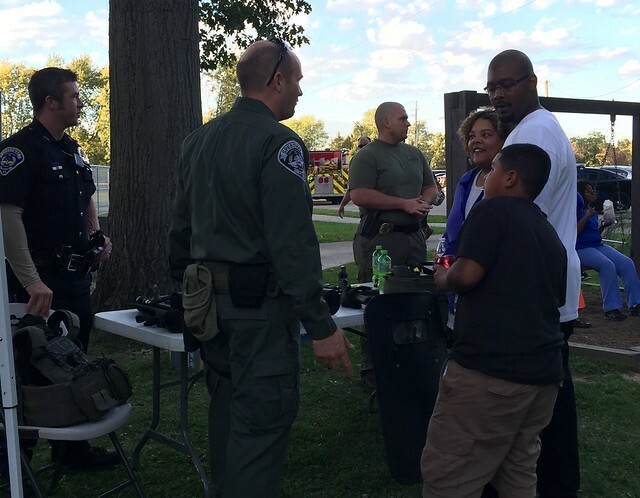 SWAT Officers demonstrate equipment with Speedway residents. 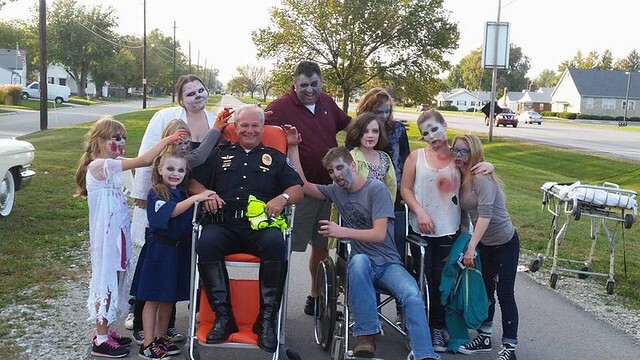 In addition to Speedway Merit and Reserve Officers, VIPs assisted at the Zombie Fun Run. Unfortunately, Lt. Sam Alexander was outnumbered by zombies at his post! 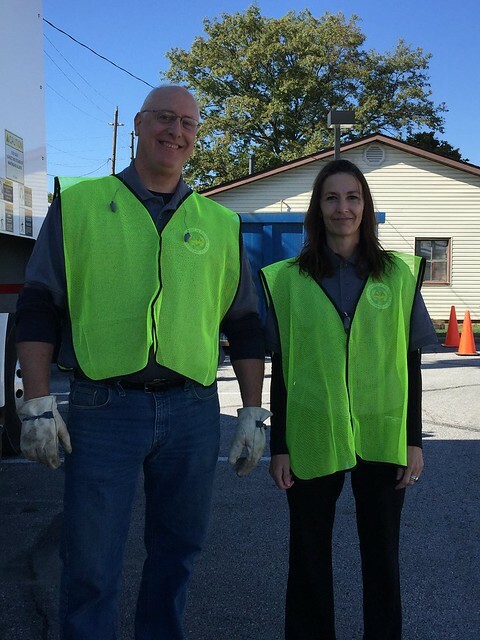 The second CrimeStoppers of Central Indiana Community Shred-it Day was held on Saturday, October 22. 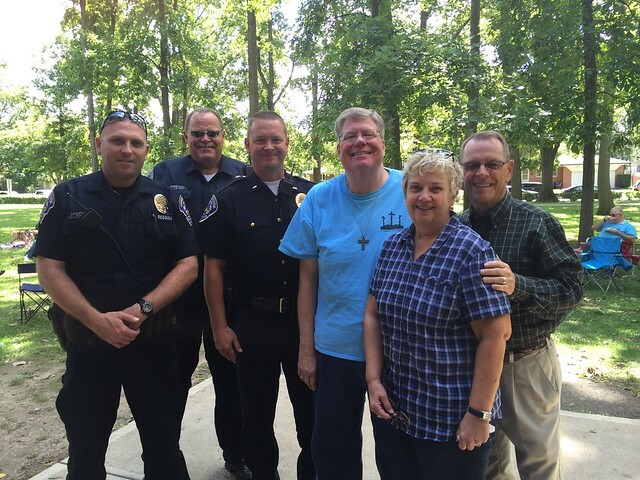 Members of the Volunteers in Policing program and Reserve Officers were again on hand to assist the department in raising funds for the reward fund, which directly benefits the community. 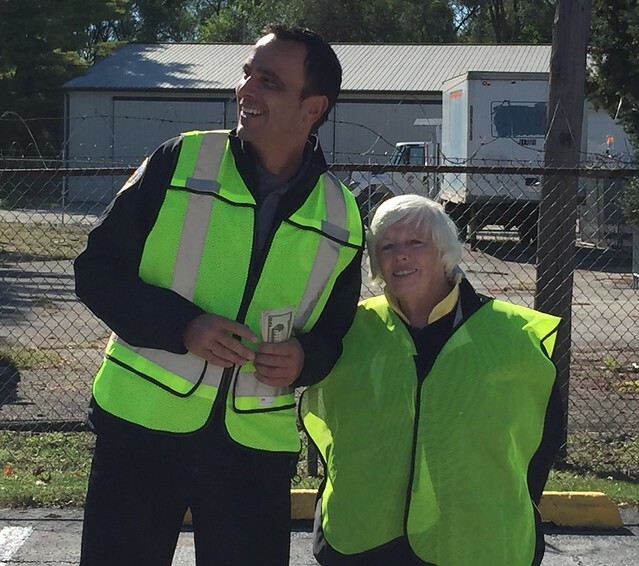 Almost $5,000 was received at the Speedway location…this success could not have been achieved without the help of the volunteers! 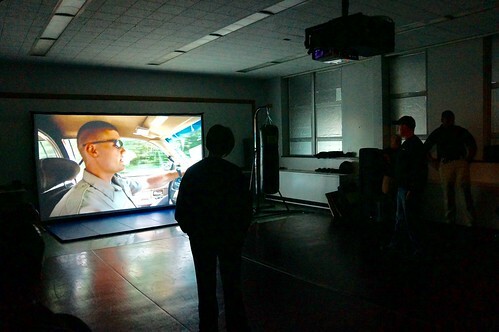 In addition to the Student Academy class held in the summer, which is for students of Speedway High School and very similar to the Speedway Police Citizens Academy, School Resource Officer Mark Jones conducted an additional session. 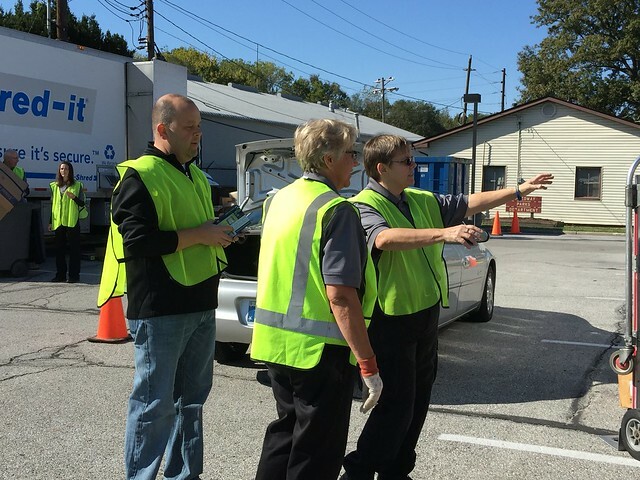 As an outreach program, it has been very positive and successful, having a lot of merit. 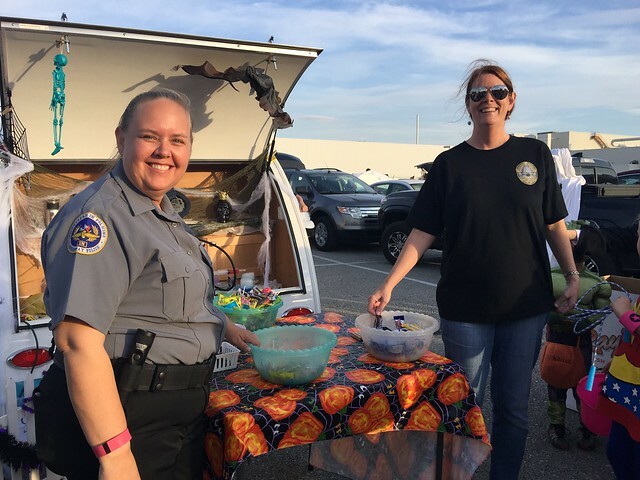 On October 29th, Tier 2 Speedway Volunteers in Policing & Citizens Academy Alumni along with Officers of the Speedway Police Department, participated in the Chamber of Commerce event, Trunk or Treat. 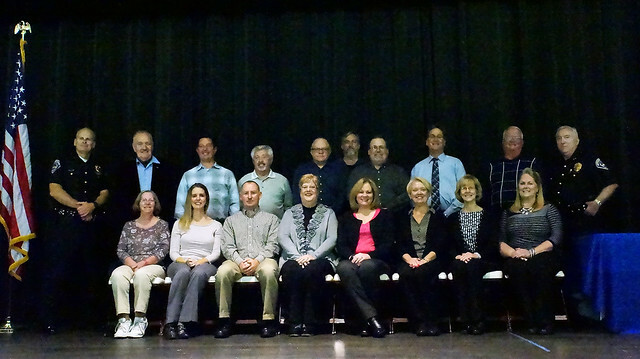 On November 16, 2016, the Speedway Police Department held a graduation ceremony for its 7th Citizens Academy class, and the 2nd class of its Tier 2 Volunteers in Policing (VIP) program. 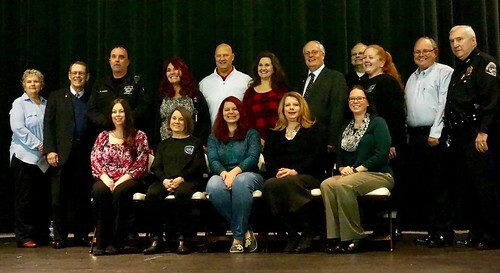 We would like to congratulate and welcome all of the students of the 7th Speedway Police Citizens Academy and Tier 2 of the Volunteers in Policing program! 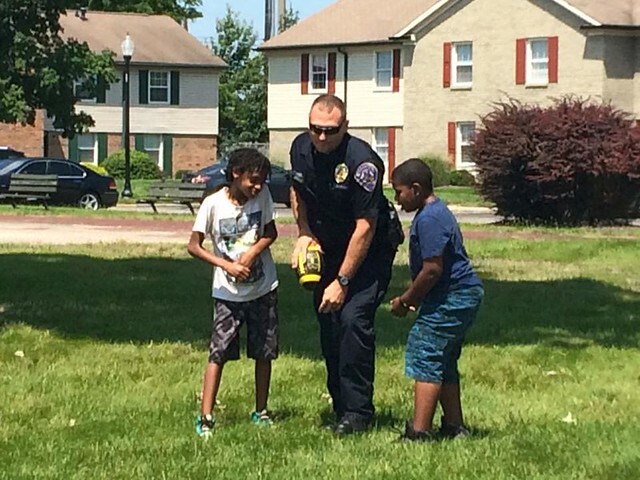 The Speedway Police Department and the residents of Speedway continue to build upon positive relationships and we encourage every resident and business owner to consider joining a future class. 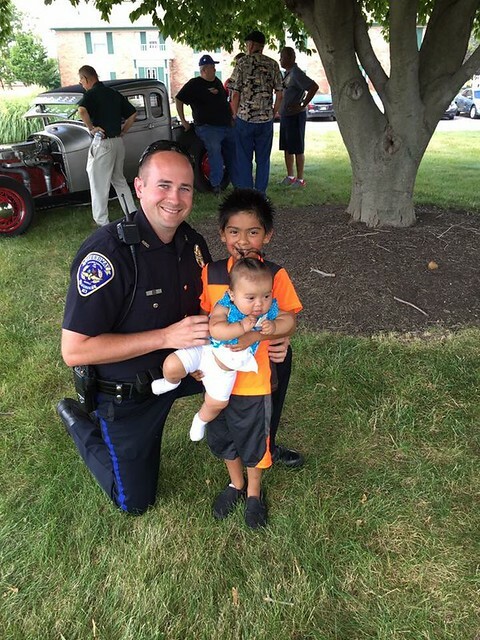 Below, Speedway PD Sgt. 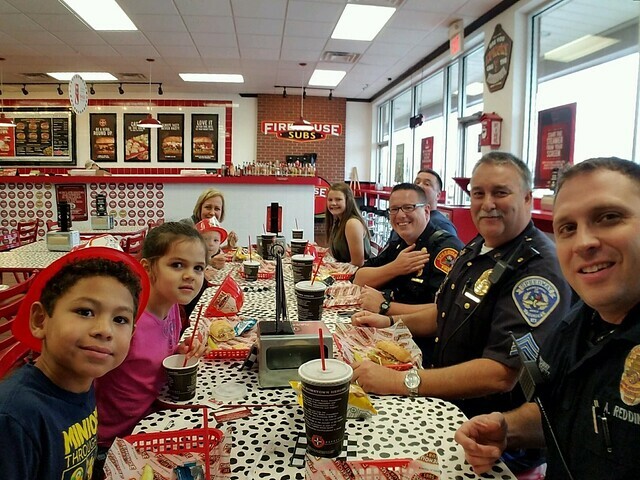 Rodney Ferguson and Officer Alex Redding with Wheeler Elementary Read-a-thon winners at Firehouse Subs. 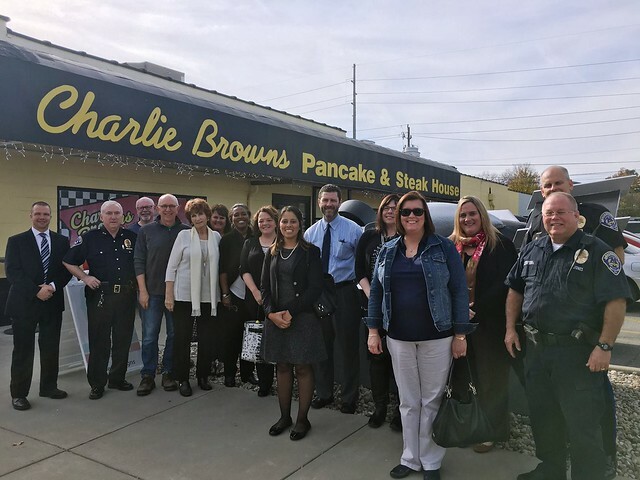 The Marion County Prosecutor’s Office offered their thanks to the many representatives of Speedway who met with them for the November Community Outreach Lunch at Charlie Brown’s Pancake and Steak House. 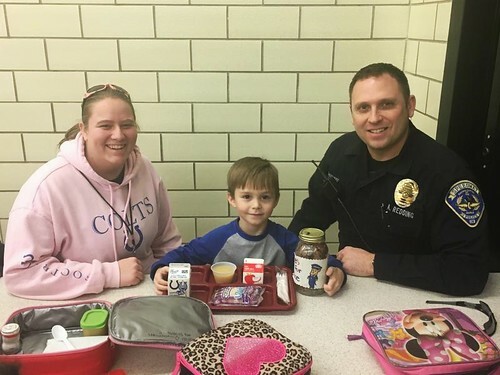 The MCPO indicated that they are fortunate to have great partners in the community such as State Representative Karlee Macer, Speedway Schools Superintendent Ken Hull, Speedway Chamber of Commerce, and Speedway Police Department. Capt. 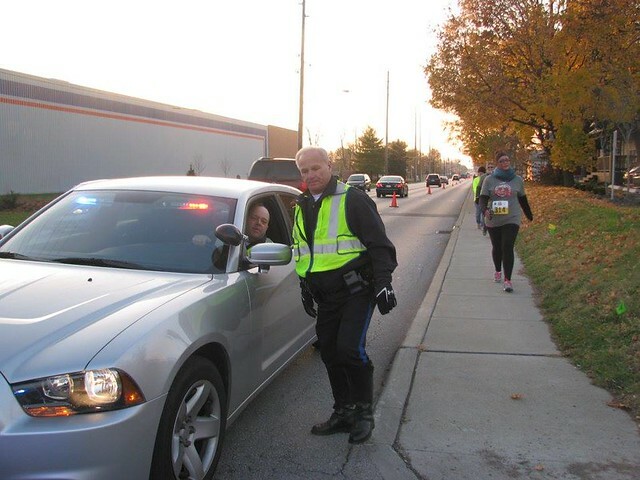 Jason Dierdorff and Lt. Sam Alexander help out at the Pub2Pub 5K race. 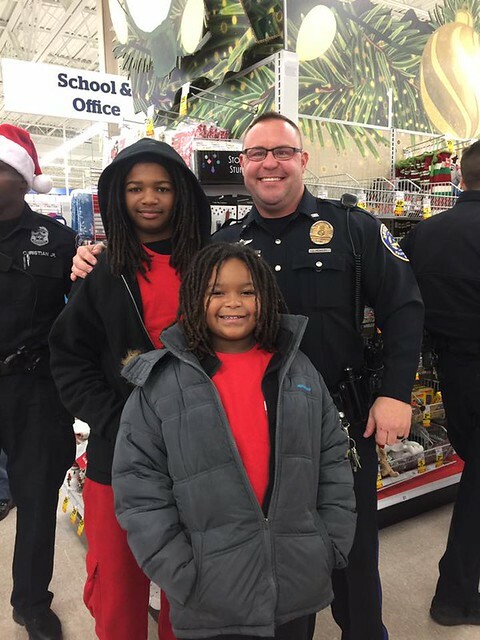 Officer Jereme Howery shops with Cyrus 14, Dreyfus 9, & their 3 month old brother for the Indianapolis Fraternal Order of Police event, Shop with a Cop. 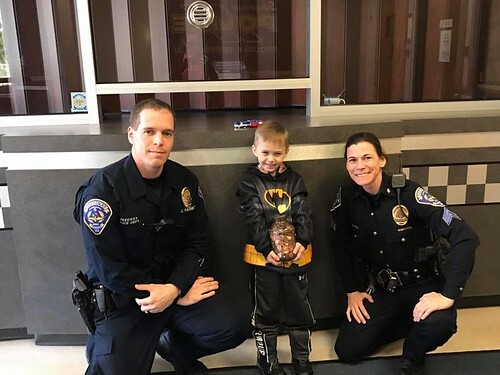 Great work by all involved! Last but not least, the Speedway Chamber held their Light the Night on Main event, with Santa arriving at Dallara by IndyCar. 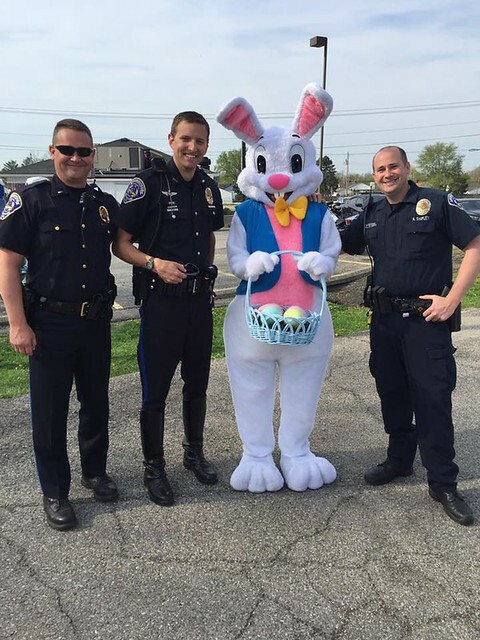 Volunteers in Policing assisted by providing participants with coloring pages and community policing information, as well as outside assisting with traffic direction and control. 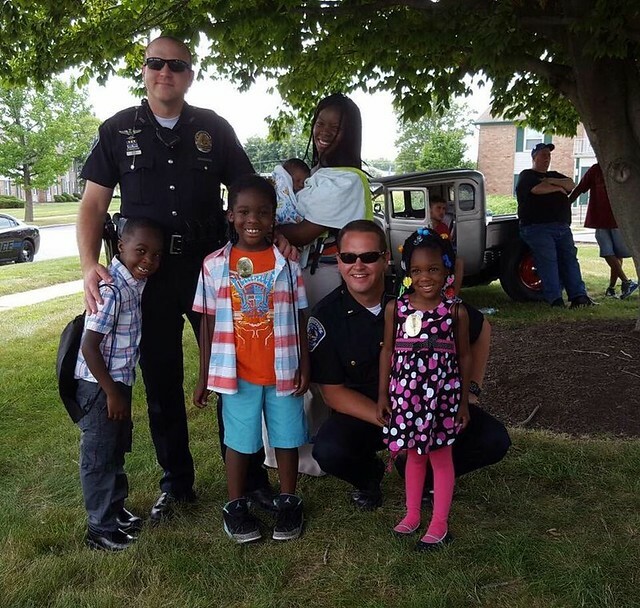 The Speedway Police Department’s longstanding and ongoing commitment of its police officers engaging and forming positive relationships with the community they serve, continues to build and grow. 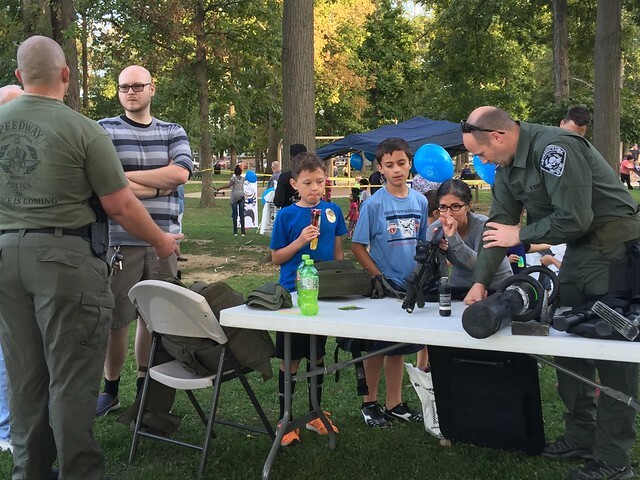 The addition of so many programs over the years, including the Citizens Academy and its Alumni Association, Volunteers in Policing, D.A.R.E, Student Academy and Neighborhood Watch, and events such as National Night Out, has been gaining momentum and interest within the community. 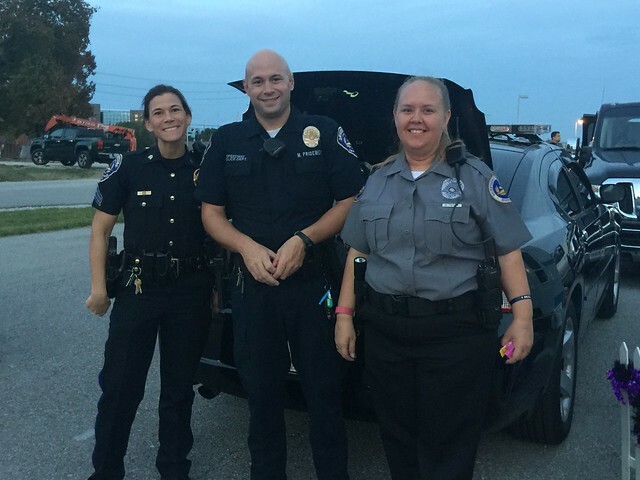 As opportunities arise, we hope all of you will take an interest and join us at a meeting or community event or join the Citizens Academy class or Volunteers in Policing program. We hope you enjoyed our celebration of 2016 and we look forward to 2017!